Hey everyone. Today I am traveling with my boss out to NASCAR Technical Institute in Charlotte,NC. We are planning to hire a few rookie techs. For me it’s about a two and a half hour road trip. I will also be taking a little detour to see some folks at a certain tuning shop in Charlotte, NC. For those of you that know what I mean 😉 more to follow. As many of you know I am currently in the process of building of restoring a 1988 VW Cabriolet aka project “Luv A Dub”. Not only am I bringing this Cabby back to life, I am installing a freshly rebuilt VR6. This will take the horsepower from a weak 90hp to 172hp. That is a nice increase in power, especially from a ~2300lb car. 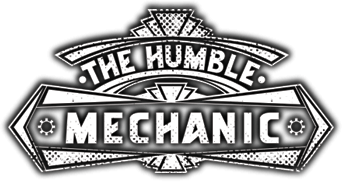 The awesome folks at AutoAnything.com asked me if they could help out with the project. As their name says, Auto Anything sells just about anything your car might need. We decided that putting a K&N air filter on the Cabby was the way to go. If you are not familiar with K&N filters, they are a filter that never needs to be replaced. Instead of replacing the filter you can clean it. I will put some videos about cleaning a K&N filter at the bottom of the post. Not only are K&N filters reusable, they also let more air flow through than many disposable air filters. For all the stats on K&N filters check out their site KN Filters. After We decided on going with K&N for the filter, Kelly from Auto Anything helped me pick the right filter for the Cabby. This was not your average task. This is a custom application. After some measuring on my end, and a few emails, they got me the exact filter I needed. Don’t worry, if you are replacing your factory size filter, getting the right one is much easier. There is some controversy about using oil charged filters on VWs. I can tell you I have replaced tons of air flow sensors on cars with K&N filter. I have also replaced tons of air flow sensors with out K&N filters. Just like any part you use, you must make the choice on your own. 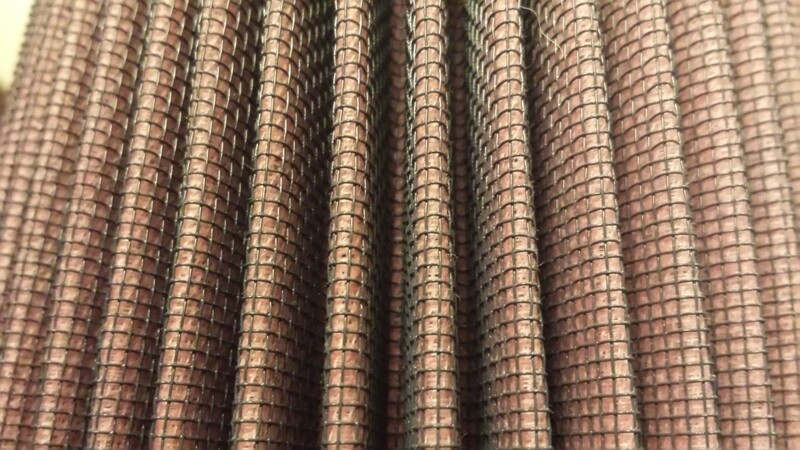 This is a close up of the filter element of the K&N filter. if you have any questions, thoughts or comments about K&N filters, post them in the comments below. I will also tell you guys that I am also traveling on Wednesday and Thursday this week. Be sure to follow the Facebook page, Twitter, and Instagram. I will be posting picture from the road. One last thing. My wife and I had a chance to check out the Porsche By Design exhibit at the NC Art Museum. It was awesome! I posted a bunch of pictures on FB. When I get back, I will post more on the blog. The races are a exciting sport, something outdoors to look into. 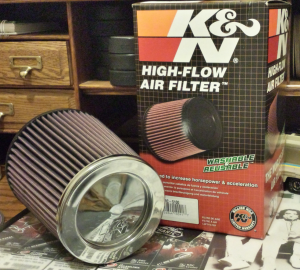 I love K&N filters and use them on all my family’s cars but…keep your old one around and after a cleaning and oiling I let sit for a few days on filter paper (paper towels would prolly work fine too) and them wick up any excess oil. Have never had an oil coated sensor problem. I have seen some people go a little crazy with the oil to the point they could almost foul-out the spark-plugs. I’ve install a K&N Air filter into my kawasaki zx6r 1997 since 2005.
but after a 40.000 miles I ve notice that my filter is dismantling! perhaps the last mechanic didn’t cleaned properly .Or had dry it by compressed Air. What I must do? To buying a NEW K&N filter or to leave it as it has? The main problem is that in some areas is Free of filter .only the screen protect the carburators from income objects!